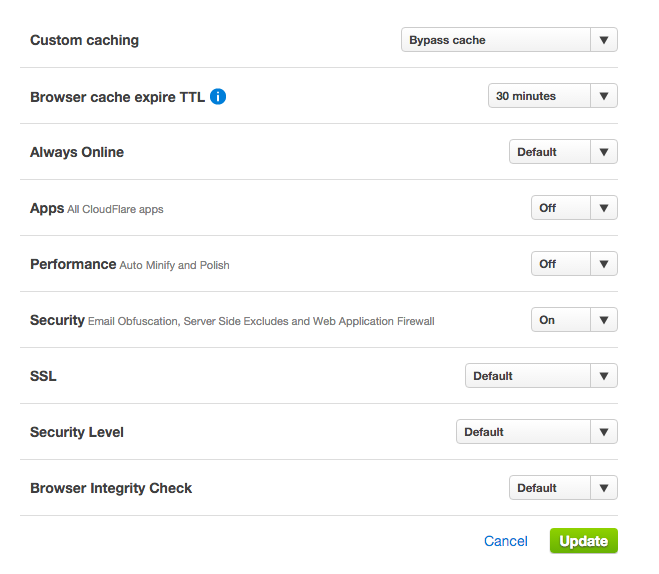 IMPORTANT: IF YOU ARE MAKING CSS CHANGES ON YOUR LIVE STORE OR MAKING CHANGES WITHIN THE CLOUDFLARE ADMIN. Add a rule or URL pattern to exclude the admin page. If this rule already exist select the settings icon and edit the rule.